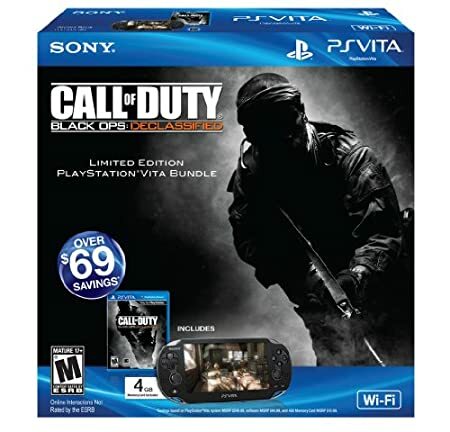 Call of Duty: Black Ops: Declassified Limited Edition Wi-Fi Bundle | Your #1 Source for Video Games, Consoles & Accessories! Bridging the storyline between the original Call of Duty: Black Ops and this year’s highly anticipated follow-up, Call of Duty: Black Ops II, Call of Duty: Black Ops: Declassified explores original fiction in the series, told through a collection of single player operations. 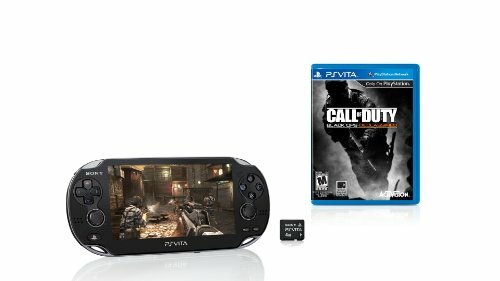 A PlayStation Vita exclusive title, Call of Duty: Black Ops: Declassified brings classic Call of Duty-style gameplay to gamers on-the-go, offering a console gaming experience anytime, anywhere. The title features intense 4v4 multiplayer action across fan favorite modes and features, including Care Packages, Create-a-Class, Killstreaks, Perks, and even Prestige Mode. And with touch screen and “Near” features, Call of Duty: Black Ops: Declassified puts the adrenaline-rush action of Call of Duty in the palm of your hands. 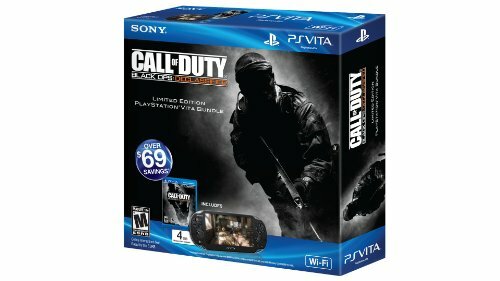 • Wi-Fi-enabled 4 v 4 multiplayer gameplay on franchise favorite modes, including Free-For-All, Kill Confirmed, Team Deathmatch and Dropzone, all tailored for the PS Vita system. • Utilize classic Call of Duty multiplayer features like Care Packages, Challenges, Create-a-Class, Killstreaks, Perks, Prestiging, XP and more. • Choose from lethal and tactical grenades, and a variety weapons and attachments. • An exclusive installment in the Call of Duty: Black Ops series told through a series of single player objective-based operations, along with Survival and Time Trial Missions.